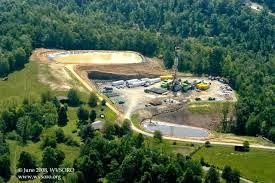 A question I am often asked is what does a shale gas well pad look like. The answer can depend, because a pad will change over time. During operations, there will be lots of equipment on the pad, and it won't look particularly nice. However, well construction typically takes a few months, and once complete most of the infrastructure can be removed. Once this is done, much of the pad can be reclaimed and restored. Of course, the pad in full action is the most dramatic, so this is what the media likes to show. 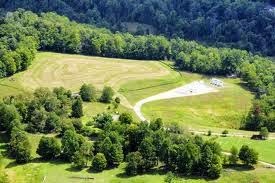 This leaves people with the impression that a shale gas pad will always look that way, not that it's like this for a few months before being restored. 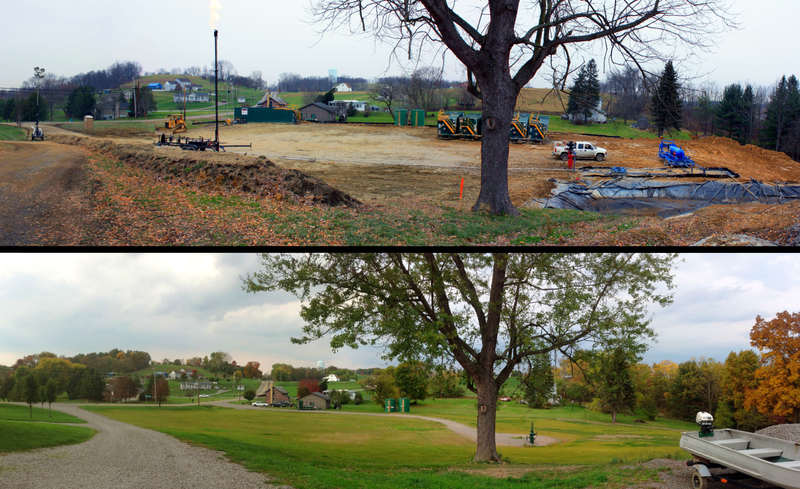 To address this balance, here are a couple of images of well pads during construction, and then what they look like when finished. Firstly, this under-over image shows a pad with a single well being flow-tested, with the gas being flared, and then the same well once the pad has been reclaimed and restored. This next image shows a multi-well pad with a drilling rig on site. You can also see open flowback ponds storing water. It's not clear whether this is fresh water yet to be used, or waste flowback water. In the UK flowback water cannot be stored like this. Underneath shows the same site once it has been completed. Most of the pad is grassed over, with only a small amount of infrastructure left on the pad. They're much like many other infrastructure construction sites. The mats are designed to spread on water and support a number of individuals. The fantastic part about a floating water mat is it does not need to be inflated.